Freya and James are available (together or separately) to perform at weddings, parties, funerals, and other events. Rates vary depending on the type and length of event. 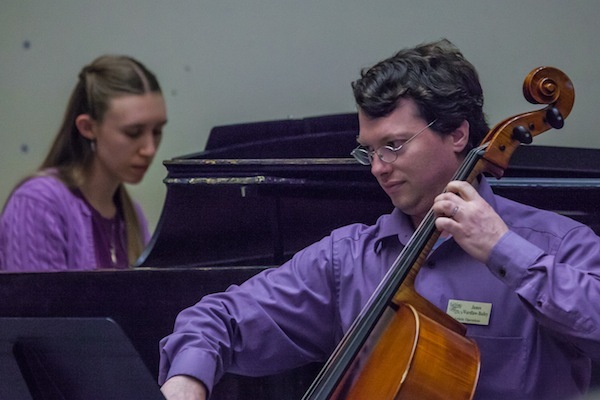 We play a wide range of classical and traditional styles, and are happy to accommodate requests given advanced notice. For piano music at your wedding, $150 includes a meeting to select music, the wedding rehearsal, and the ceremony. Additional fees for extra time or rehearsals with other musicians can be arranged separately. Freya can suggest music for you or take specific requests, as well as help find singers or other instrumentalists. If your wedding venue does not have a piano, we have a good quality portable electric keyboard available.